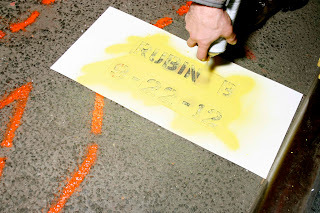 On Friday, March 15, 2013, Time’s Up! 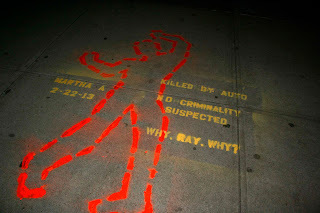 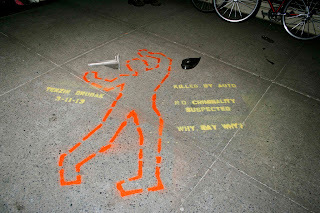 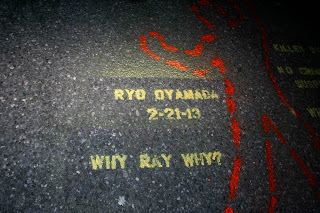 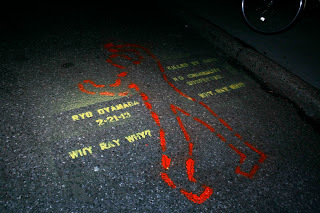 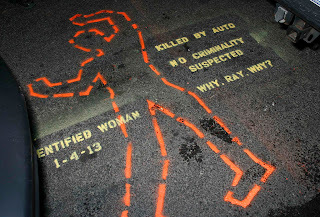 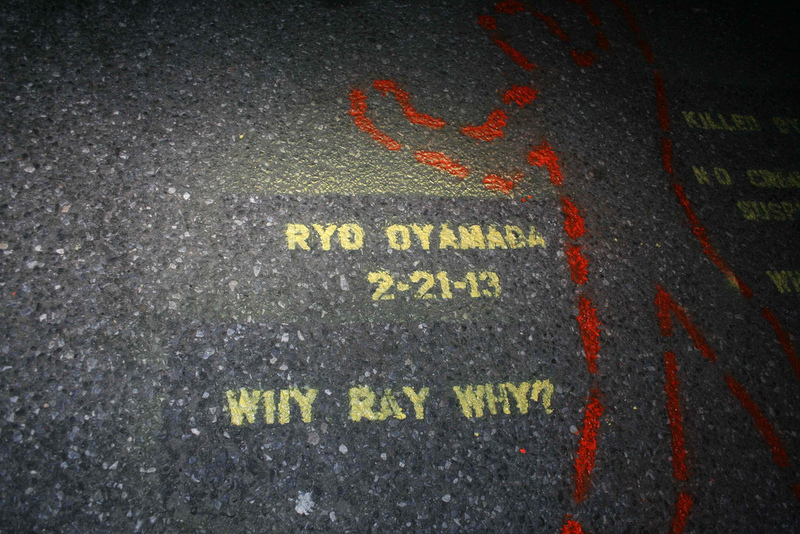 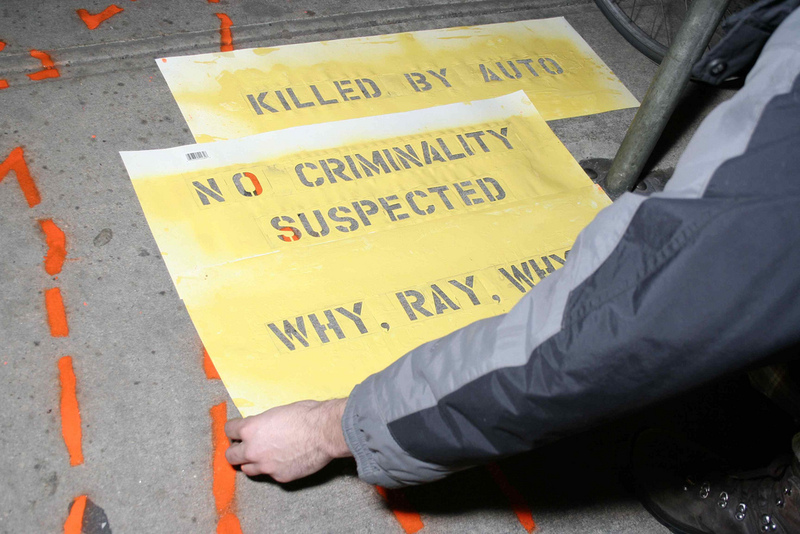 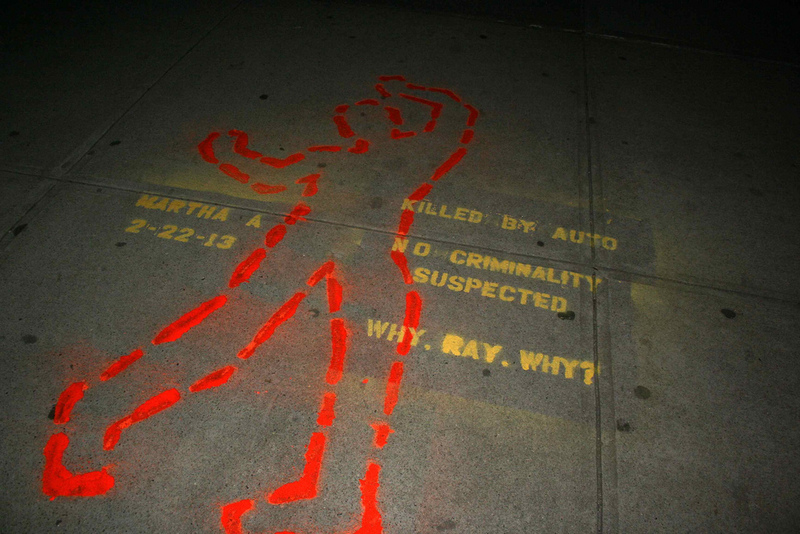 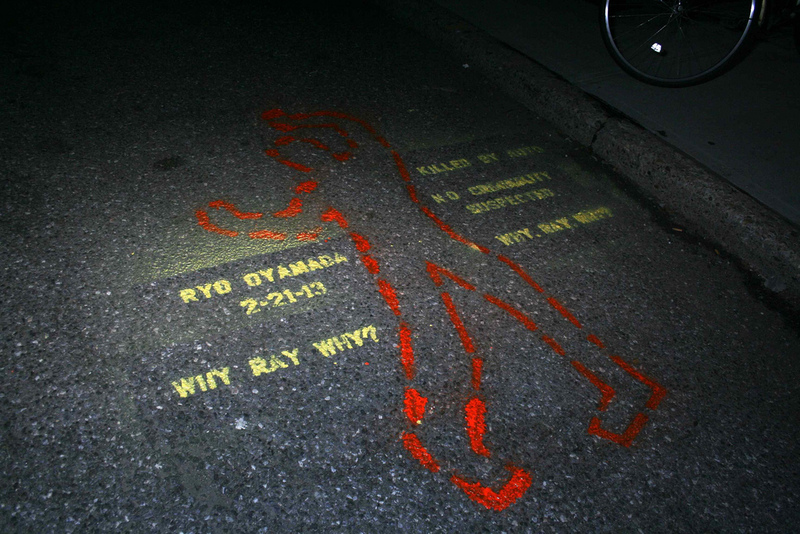 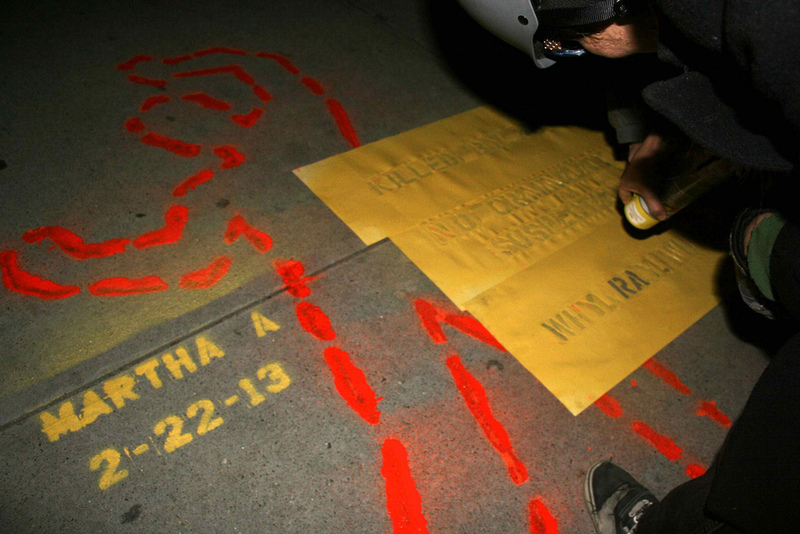 cyclists toured a series of eight anonymously painted street memorials commemorating pedestrians and cyclists who were killed by automobiles in the past year — each one a case that cried out for serious scrutiny (four of the pedestrians were run over on sidewalks) — yet where the NYPD declined to investigate the collision, declaring “no criminality suspected” within hours of the crash. 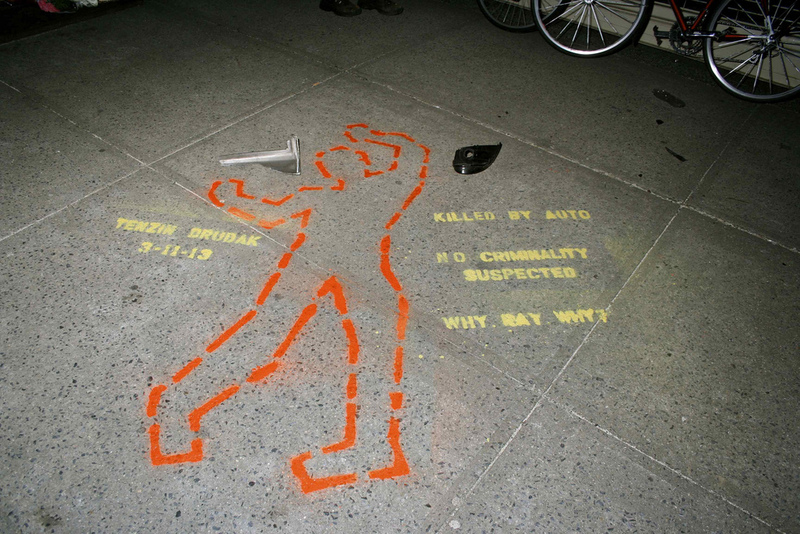 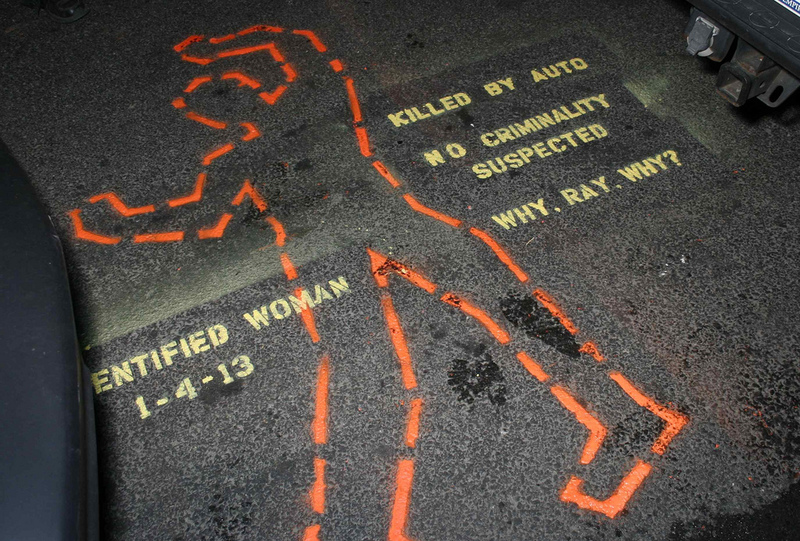 The question is directed at Police Commissioner Ray Kelly.